3DNextech is the company to contact for businesses and trade professionals involved in digital manufacturing and additive manufacturing services. Our devices are the upshot of new schools of thought. Our approach consists in the development of industrial processes and the upgrading of production processes and is designed to increased business productivity. Our products provide an efficient and concrete solution to the problems of those who work in the world of digital manufacturing and in the additive manufacturing sector. The first is an unconventional analysis of the problem. 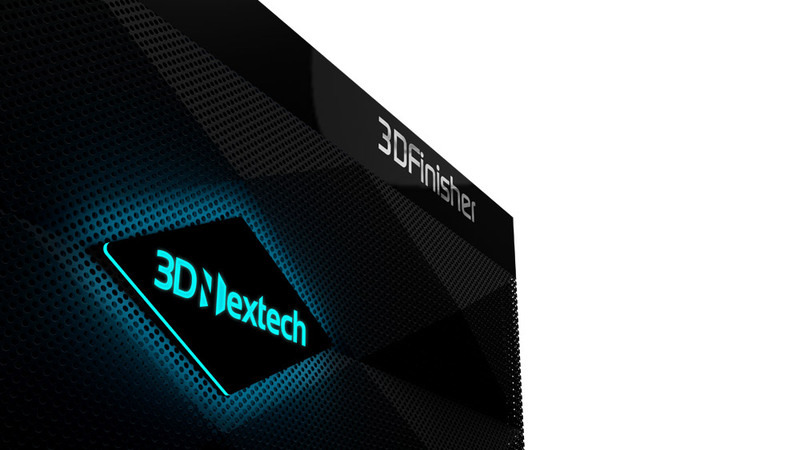 3DNextech’s mission is to devise creative solutions to be applied to the world of additive manufacturing. The second is to provide a functional device, designed using the best available technologies. The third is the maintenance of high safety standards and the certification of products at international level. The last is the meticulous search for a cutting-edge design, and a thorough study of each single cost concept. 3DNextech is synonymous with quality, innovation, safety, reliability, but also focus on design, aesthetics, ergonomics and passion, in true Made in Italy style. 3DFinisher perfectly smoothens the surfaces of objects in ABS and/or Cellulose Acetate, making them polished, waterproof, washable, paintable and greatly improving the appearance of the parts involved.